This week our student’s will be reminded of why we are discussing character traits in support of the Other People Matter mindset. Our focus will be based on “being present and giving others my attention.” Our world today is full of distractions and while it seems simple to focus on even a simple conversation, we realize how many times we can be interrupted. Our goal is to provide our students with the benefits of being present by encouraging face to face conversations. This allows for better understanding of empathy and reading simple body language to be recognized and discussed. For more information about the Positivity Project visit www.posproject.org. To view Saint Leo’s Press Release, click here. 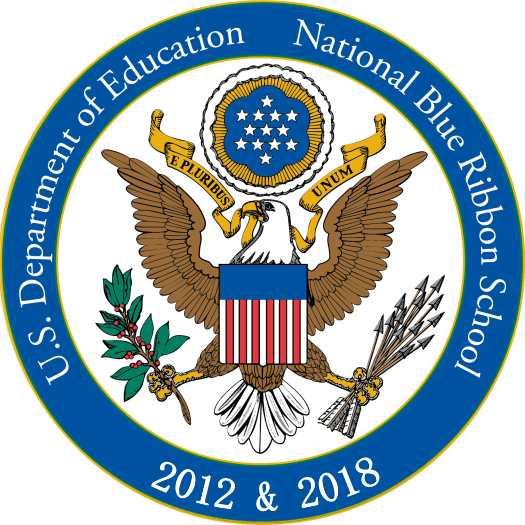 To view our 2018 National Blue Ribbon School Profile, click here. Congratulations to our Saint Leo the Great Community – our students, faculty, staff, and parents – on receiving these coveted recognitions! It is hard to believe that we are getting ready for the end of this school year and that plans for next year have already begun! Please click on the link below to find the 2019-2020 tentative school calendar. Although it is subject to change, it will provide you with an idea of next year’s important dates. Easter vacation is upon us and will begin on Thursday, April 18th and classes will resume on Monday, April 29th. During the Easter season, we will see often the image of the Easter Bunny. At these times, I hope that the following will help remind us all of the true meaning of Easter. The white Easter bunny is a symbol that few people connect with religion. Long ago, however, it had a lovely religious meaning. According to legend, on the first Easter morning, a rabbit was living in the garden where Jesus was laid to rest. He was the only animal to actually see the Resurrection. The rabbit was thunderstruck at the sight of Jesus. The dazzling light bleached the rabbit’s brown fur to a snowy white and erased all the color from his eyes. The rabbit saw the good and loving Lord Jesus and ever since has been among the gentlest and most peaceful of animals. May this year’s Easter bring everyone in the Saint Leo the Great School community new hope and joy. Have a blessed and meaningful Easter! The Saint Leo the Great Athletic Association 2019 Spring Golf Classic ~ Four Man Scramble is being held on Monday, May 13, 2019. Please click on the icon above for more information. Any questions, please call/text Anthony Biancaniello at 732-921-2175 or Tom Gioia at 732-233-6321. Your generous financial support is needed to build the “Classrooms of Tomorrow” and to make our dream a reality. To learn more about this important project please click on the “STEAM” icon above. To learn how you can sponsor a classroom in your family’s name and create a lasting educational legacy please contact Mr. Cornelius Begley, Principal, at 732-741-3133. Thank you for your support. Your donation is greatly appreciated.